The news has been awash with the recent announcement of the State Pension age rise is to be brought forward. The statement was made in the Commons by Secretary of State for Work and Pensions, David Gauke. Gauke commented that the Government had agreed to the suggested raise on the recommendations of the John Cridland CBE report. For many years, the age of retirement was 65 for men and 60 for women. But with the significant rise in the UK life expectancy, the Treasury has seen costs escalate as pensioners are receiving pay-outs for more years during their retirement than they contributed to National Insurance whilst working. Prior to this announcement, the State Pension age was 67 but between 2037 and 2039 the pension age shall be 68 before people may receive payments. An estimated 7.6 million men and women will be hit by the change. Analysis by the House of Commons found that these people will be around £9,800 worse off as a result of the changes. This sum could easily be predicted as an average one year State Pension is approximately £8,300. The raising of the State Pension age to 68 by 2039 means those affected will be men and women who are currently aged between 39 and 47. 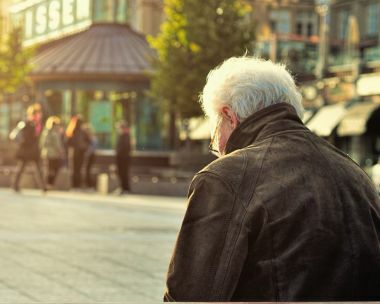 These younger generations are particularly in need of the State Pension as many Final Salary or Defined Benefit pension schemes have now closed, adding more pressure on people to save for their retirement rather than relying on employers. At present the State Pension age is 65 for men and 64 for women. The age of women’s pension age will increase every few months until the age is equal at 65 for both men and women in 2018. The State Pension age will continue to increase every few months, until it reaches 66 by 2020, then up to 67 in 2028. With these changes to the age of retirement it’s wise to re-evaluate your current pension plans, particularly if you fall into the age group most affected, 39 – 47. Ensuring your own financial stability in your retirement years is now more essential than ever. With changes to pensions happening frequently, it’s a good time to speak to a financial advisor who will be up-to-date with any new plans for pensions, both State and Private.